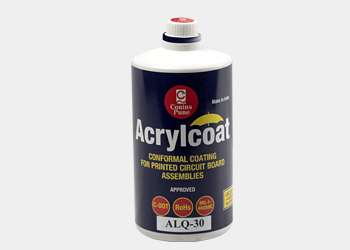 Conins Acrylcoat is a high quality flexible transparent ECO FRIENDLY Acrylic Conformal coating for PCB Assemblies. Our high quality standards at every level of the organization have helped us to find a strong foothold in the global arena. We have successfully achieved an ISO: 9001:2008 certification by England. We are committed to customer satisfaction by offering quality products and services meeting their specifications and expectations at competitive price. Acrylcoat HV 60 and HV100 ensure protection for PCBs and components against moisture, Oxidation, fungus etc. 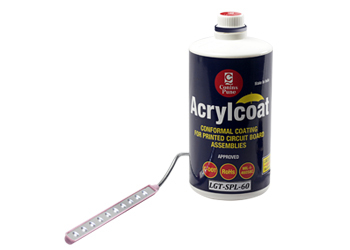 Conins Acrylcoat is a high quality flexible, transparent, ECO FRIENDLY Acrylic Conformal coating for LED Lighting. CONINS is well established in the field of Conformal Coating. Our Acrylcoat Conformal Coating is well accepted in the Electronics industries. The product enjoys excellent reputation for its quality. 885 / 1 / 4, Lane No. 6, Shivnery Building, Bhandarkar Institute Road, Deccan Gymkhana, Pune - 411004, Maharashtra India.